There are lots of games out there nowadays that are built around boss fights. Shadow of the Colossus. Dark Souls. Bloodborne. Titan Souls. More recently, Sinner. There are also many games out there that incorporate these kinds of boss fights as a single part of a larger narrative, albeit to a much lesser extent. The Witcher 3. Dragon Age: Inquisition. Skyrim. More recently, God of War. In particular, the God of War Valkyries. God of War in particular has some incredibly memorable boss fights. One that immediately springs to mind is the fight with Hraezlyr the dragon, although even the battle against The Stranger early on in the game is absolutely fantastic. 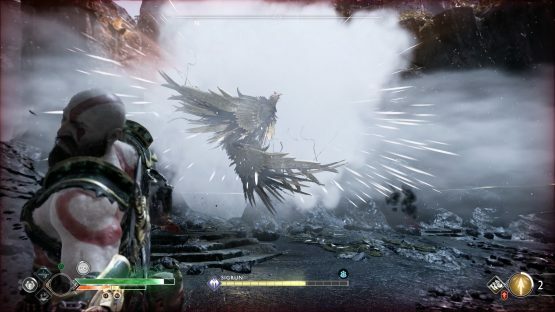 In spite of this, the most “bossy” parts of God of War are the fights with the nine Valkyries dotted across the map. Locked up in Hidden Chambers and gone mad in isolation, these Valkyries are formidable foes. However, fighting them is completely optional; so why did so many people bother to do it? I love optional parts of video games and I know lots of people reading this will, too. However, it’s an unfortunate fact that lots of players play games start to finish with 100% emphasis on main quests. Don’t believe me? Look at trophy percentages. There’s a reason the esoteric stuff is generally only achieved by less than 10% of players. The Valkyries are powerful enough that without endgame—or even post-game—equipment, fighting them on anything but the easiest difficulty will prove to be incredibly difficult for all but the most powerful Kratos players. As a result, it seems that most people who do actually fight the Valkyries tend to do so after having finished the main story. Trophy percentages attest to this, too, as the percentage of those who have completed the Valkyries questline is far lower than that of those who have completed the main game. Far, far lower. This alone is one of the reasons as to how the Valkyries were designed so well. They’re not easy, even on the easiest difficulty, but they’re not mandatory either. Some players like a challenge, craving difficult boss fights. Some players hate the idea of dying twenty times before achieving victory once. 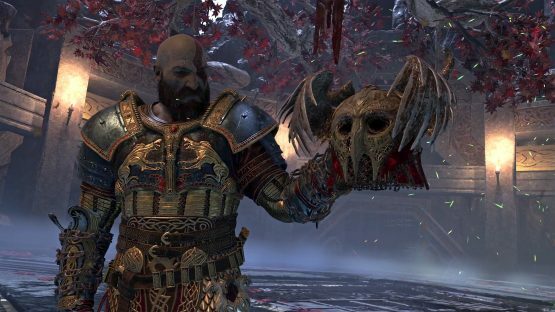 God of War scratched both itches by placing incredibly difficult bosses in a game in which they were only optional. You want to take on the Valkyries themselves? Great, but that’s not what we asked you to do. This is your decision and yours alone. Best of luck, though! Aside from the Valkyries being optional, though, what is it that truly made them special? Tons of games have optional bosses. It’s a cool idea, but it’s not a fresh one, nor is it alone a sufficient reason for why they’re great. The best thing about the Valkyries is the way in which the lore imbued in them is manipulated. Personally, the ambiguous story arc of the Valkyries quest—which I won’t spoil here—was one of my favorite parts of God of War, because it really took advantage of the source material that the game was based on. 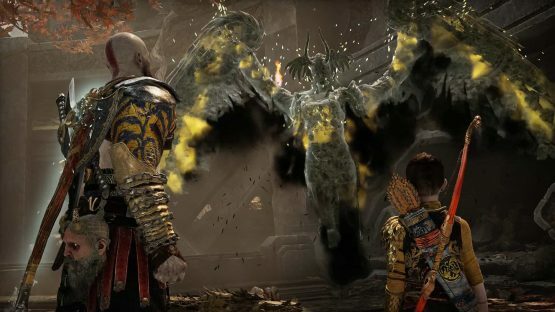 I recently wrote a piece called God of War: Rewriting Ragnarok that discussed the ways in which Cory Barlog’s latest reappropriates the tenets of Norse Mythology in order to craft something wonderful and genuinely new. However, I didn’t discuss the Valkyries in that piece. Now, that’s exactly what I’m about to do. Guardians of Helheim, the Valkyries ensure that those who die of sickness and old age are escorted to Helheim safely. This is the realm over which Hel, daughter of Loki, holds dominion. However, in God of War, Hel is absent and the Valkyries have been imprisoned by Odin himself. Therefore, just as my last piece discussed, the ink has been smudged out. In order to make good on this, Barlog puts his own pen to paper, seeking to fuse optional boss fight mechanics with a brand new take on the Valkyries of the Poetic Edda. The difficulty of these fights is one thing, but the ambiguous motifs in play make this questline illogical and unreasonable. Until all of these foes have been defeated, nothing about this makes sense, and that’s why the Valkyries are so great. They’re optional, but once you go on to challenge the first one, you’ll be traveling from Niflheim to the foothills of Midgard in order to track down the Hidden Chambers holding the crazed Valkyries prisoner. With each victory, a Valkyrie is set free, incapable of remembering what drove them insane. In a way, this is the quest in which Kratos takes on an investigative role, seeking to come to terms with the reasons as to why Odin locked up some of his most trusted companions. God of War‘s Valkyries are optional at face value, but after you fight one, fighting all of them is mandatory. Not because the game makes it so, but because they’re written so well that you’re left with no other choice.